Be proactive by arranging for a pre-sale home inspection. For $250 to $400, an inspector will warn you about troubles that could make potential buyers balk. Make repairs before putting your home on the market. In some states, you may have to disclose what the inspection turns up. If your home inspection uncovers necessary repairs you can’t fund, get estimates for the work. 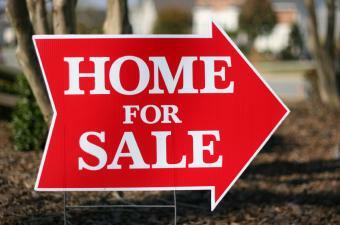 The figures will help buyers determine if they can afford the home and the repairs. Also hunt down warranties, guarantees, and user manuals for your furnace, washer and dryer, dishwasher, and any other items you expect to remain with the house. Not every repair costs a bundle. Fix as many small problems — sticky doors, torn screens, cracked caulking, dripping faucets — as you can. These may seem trivial, but they’ll give buyers the impression your house isn’t well maintained. Clear your kitchen counters of just about everything. Clean your closets by packing up little-used items like out-of-season clothes and old toys. Install closet organizers to maximize space. Put at least one-third of your furniture in storage, especially large pieces, such as entertainment centers and big televisions. Pack up family photos, knickknacks, and wall hangings to depersonalize your home. Store the items you’ve packed offsite or in boxes neatly arranged in your garage or basement. A clean house makes a strong first impression that your home has been well cared for. If you can afford it, consider hiring a cleaning service. If not, wash windows and leave them open to air out your rooms. Clean carpeting and drapes to eliminate cooking odors, smoke, and pet smells. Wash light fixtures and baseboards, mop and wax floors, and give your stove and refrigerator a thorough once-over. Pay attention to details, too. Wash fingerprints from light switch plates, clean inside the cabinets, and polish doorknobs. Don’t forget to clean your garage, too. If you’re refinancing your home or getting a mortgage to buy one, your lender will likely ask for more documentation of everything you claim on your loan application. The new rules they were discussing, called the qualified mortgage or ability-to-repay rule, protect consumers from unscrupulous lending practices and provide creditworthy homebuyers with access to safe mortgage financing. That mean lenders must look deep before making a mortgage loan. Lenders can still make any loans they like, but if they go outside the qualified mortgage rules, they lose protection against borrower lawsuits claiming that the loan was unfair or inappropriate. Many lenders have faced lawsuits filed by state attorneys general and class actions over loans made before and during the housing crisis. 1. Your current income or assets. 2. Your current employment status. 4. The monthly payment for the mortgage. 5. Your monthly payments on other mortgage loans you get at the same time. 6. 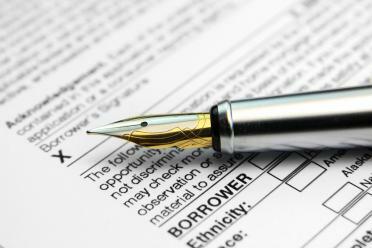 Your monthly payments for other mortgage-related expenses, such as property taxes. 8. Your monthly debt payments, including the mortgage, compared with your monthly income and how much money you have left over each month after paying your debts. Kevin Watters, CEO of mortgage banking for JPMorgan Chase, agreed that low- and moderate-income buyers, as well as self-employed buyers who don’t have a consistent flow of income, might have a tougher time in the new lending environment. “We need to work together to help first-time buyers into affordable housing options,” he said. The new guidelines worry REALTORS® who see homebuyers who use a mortgage being passed over by sellers who accept offers from cash buyers (most cash buyers are investors and about one- third of recent existing- home sales involved investors). I can’t blame sellers for taking cash deals. If I were selling my home, I might not want to wait for a buyer to go through a lengthy mortgage approval if I could quickly close the deal by accepting a cash offer from an investor. Will It Take Longer to Get a Loan? Since the rules aren’t in place yet, we won’t know how long it’ll take to process loan applications using the qualified mortgage until after January. Assume the loan process will be slower than the last time you got a mortgage, so don’t let it stress you out. Make a copy of every piece of paperwork you give to your lender. That way, if you’re asked to send it again, you’ve got it ready to go. Discuss lender choices with your REALTOR®. She’s watching local people go through the mortgage application process every day and knows what lenders are really doing versus what their loan officers say they’re doing. Don’t lie on your loan application. All the new verifications mean you’re just going to get caught and then you won’t get your loan. House hunting is just like any other shopping expedition. If you identify exactly what you want and do some research, you’ll zoom in on the home you want at the best price. These eight tips will guide you through a smart homebuying process. Also ask if the agent specializes in buyer representation. Unlike listing agents, whose first duty is to the seller, buyers’ reps work only for you even though they’re typically paid by the seller. On the flip side, don’t be so swayed by a “wow” feature that you forget about other issues—like noise levels—that can have a big impact on your quality of life. Use your priority list to evaluate each property, remembering there’s no such thing as the perfect home. 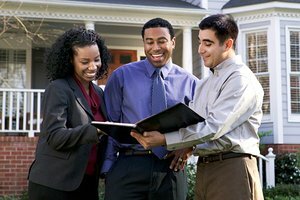 Is Your Mortgage Lender Treating You Right? 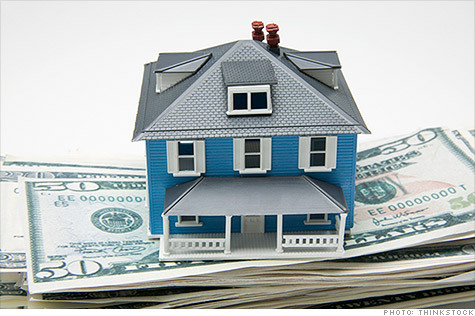 New mortgage rules favor you, the home owner. We explain the rules, plus give you tips to ensure your lender treats you fairly. Companies have to offer you good customer service and set up procedures to ensure employees do their jobs correctly. The fact that federal legislators put this in the law tells you a lot about how frustrated consumers have gotten with mortgage lenders and servicers. Servicers (the companies that collect your mortgage payments on behalf of the lender or investor who owns your loan) are now officially required to set up their operations so that employees can actually find information about your loan, respond to your questions, and help you if you have a problem paying your mortgage. The servicer has to answer your questions and respond to your mortgage problems and questions pretty quickly. Within 5 days, it has to admit it got your letter. It has 30 to 45 business days to fix an error, send you the info you need, or explain why it can’t do either of those things. Tip: You have to report errors and ask for information in writing. Calling doesn’t trigger the protections, nor does jotting a note on the payment coupon. You have to write a letter and send it to the right address for complaints. Check your lender’s or servicer’s website for directions about where to send correspondence and keep copies of your letters for your records. Looking to buy or sell your next home? I can help make it a smooth transaction! Foreclosure is just a one-time event—with discipline and perseverance, you can get a mortgage and become a homeowner again. Did you fall into foreclosure because of the lack of a steady job? If you did, the first step toward homeownership after foreclosure is finding and holding one. And if you already have one—stick with it, unless you can move to a better one. Note that potential lenders will require stable employment before they’ll give you a new mortgage loan after a foreclosure. Even if it means taking a lower-paying job, it’s worth it. Establish a safety net. Financial planners generally recommend three to six months of living expenses in a liquid account, but since you’re coming out of foreclosure, six is a minimum to show stability and that you’re able to pay your bills—including your mortgage—for an extended period if you lose your job. This is the hardest and most time-consuming part. After foreclosure, your credit score, according to myFICO, probably dropped by about 150 points. You’ll need to raise it back up with perseverance. Pay bills on time and keep your credit card balances below maximum levels. The foreclosure will stay on your credit report for seven years, but if you prove your money management skills have matured, it will become less of a red mark as years go by. Tip: Consult a housing counselor. The U.S. Department of Housing and Urban Development offers free housing counseling for distressed homeowners with a foreclosure in their past. A counselor can help you with money management and budgeting. Counseling works—an evaluation of a program in Indianapolis discovered that credit scores greatly improved because of education and counseling, and increased average borrowing power by $4,500 per family. There’s one last alternative if waiting isn’t your thing—you can obtain seller financing, essentially bypassing the traditional mortgage. If both parties are amenable, you can enter into a lease with an option to buy, or take a mortgage directly from the seller. You’ll most likely have to show some hefty reserve funds, but if you’ve turned around your financial situation quickly after your foreclosure, it’s worth a shot to deal directly with the seller. Keep in mind that sellers may be motivated to agree to this if they need to sell and the potential buyers they’ve met with can’t obtain a conventional mortgage—perhaps because they’ve been through foreclosures, too. When you’re ready to apply for your new mortgage, don’t try to hide your foreclosure. On the contrary, be proactive and reveal the steps you’ve taken to remedy the problems that led to your foreclosure. Tip: Try a mortgage broker, who can work with a variety of lenders to find you a loan. When you work directly with a retail lender, like a bank, they have a limited pool of loans to offer you. But a good mortgage broker—one with a vast network of lenders or has many options, and may be able to find a mortgage solution if the foreclosure in your past is creating challenges in obtaining one. If you stay disciplined and positive, the American dream—obtaining a mortgage and owning a home of your own—can, indeed, be yours again. Even after foreclosure. Tired of getting the run-around from your mortgage lender or servicer? Starting Jan. 10, 2014, you’ll get consumer protections aimed at taming the worst habits mortgage lenders picked up during the mortgage foreclosure crisis. But realize that you need to follow specific procedures to make the protections work for you. 1. Ask: Are you a bank, a broker, or both? Working with a mortgage brokerage that is (or has) a bank could be a deal-saving move because they have more control over their appraisal process. 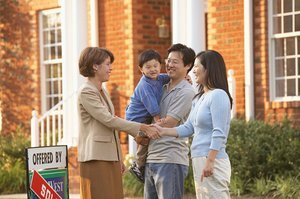 When it comes down to appraisals the ability to designate a local appraiser that understand the neighborhood matters, especially if the property is in an area that hasn’t had many recent sales or is otherwise challenging to appraise. sell straight to Fannie and Freddie often mirror the FHA minimum guidelines precisely. Brokerages with their own in-house bank and a large roster of lenders and programs provide the advantage of offering a wider range of fallback options for financing than plain old banks or plain old brokerages – Plans A, B, C and D. It’s increasingly common that buyers first choice bank or loan program doesn’t work out, but with combination bank/brokerages, those buyers have a lot more options to help get the deal done. 2. Ask: Will you explain my Good Faith Estimate to me? from the broker’s commissions to the costs associated with the loan. However, as a point of customer service, you should ask your mortgage professional to explain it to you in order to be safe. 3. Ask: May I have a fee sheet or estimate of funds to close? Why: The one shortfall of the latest edition of the GFE is, while it clearly shows the costs associated with a particular loan scenario, it does not always show so clearly the actual amount of funds you’ll need to close the transaction (which might be more or less than those costs)! Ask your mortgage representative to prepare a fee sheet or an estimate of funds to close as early in the transaction as possible. 4. Ask: How long will it take to close? Why: The time it takes to close a mortgage, and consequently a home, can vary widely depending on the loan type, lender, and other factors. When you first meet with your prospective mortgage pro, talk with them about these issues so they can help you understand and insert realistic time frames into your offer. This will help ensure you don’t loose your future home because a piece of the process took longer than you expected. 5. Ask: Are there any fees for the loan application/approval process? Why: Some lenders charge for credit checks up front, and most require that you pay for your appraisal before you find and get into contract on your property. You need to know upfront how much cash you’ll need to get the loan approval ball rolling. 6. Ask: How long have you been originating loans with this company? to get a loan closed in this restrictive mortgage market. I would be happy to offer you a list of preferred lenders to get you started. Finding the right financing and professional can take a lot of the hassle out of the mortgage and closing process. Ask these questions to be sure you’re making the right lending decision. Remember today’s loan can affect your budget for the next 30 years to come. Having a tax deduction for mortgage interest makes owning a home more affordable because the deduction lowers the amount of tax you pay. 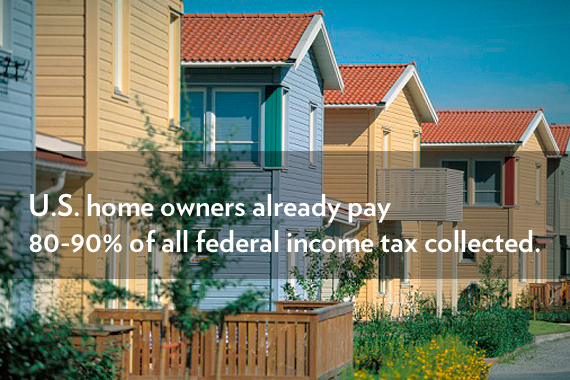 U.S. Census data shows 37% of home owners with mortgages spend more than 30% of their income for housing. Paying less for housing means having more disposable income for savings and other household expenses. Increasing housing affordability increases the number of renters who can afford to buy a home of their own responsibly; increasing the number of home buyers helps keep home prices stable for those who already own homes by ensuring a steady stream of new buyers. In general, any home owners who pay U.S. taxes and who itemize their taxes can deduct mortgage interest attributable to primary residence and second-home debt totaling $1 million, and interest paid on home equity debt of as much as $100,000. * Reduce the mortgage interest deduction for upper-income taxpayers—they’d only receive 28 cents on the dollar, even if they’re in a 33% or 35% tax bracket and can now deduct 33 or 35 cents on the dollar. * Reduce the $1 million cap by $100,000 a year. * Change the mortgage interest deduction to a 15% tax credit. In the past, members of Congress have suggested other mechanisms for eliminating or limiting the mortgage interest deduction. None of those has ever gained traction. Now is a Great time to Buy, Sell or Invest in Real Estate! Ask me why….